Early detection by a licensed optometrist is key. Eye diseases are medical conditions that affect the health of your eye system. Some are common and minor while others can damage your vision and impact your quality of life. The surprising truth about eye disease is that often there are no early symptoms. Only your eye doctor can detect eye diseases at an early stage, when there is a better chance to develop an effective disease management plan. Houston Vision Source doctors are equipped with the most advanced diagnostics and state-of-the-art optic tools. Learn more below and find an eye doctor near you. Glaucoma is actually a group of diseases that damage the optic nerve. Often this damage is caused by too much pressure in the eye. Often called "the silent thief of sight," untreated glaucoma can lead to diminished vision, tunnel vision and eventual blindness. Regular eye exams are the only way to detect early signs of the disease. Conjunctivitis, also known as pink eye, is an infection or inflammation of the conjunctiva -- the protective membrane that covers the surface of the eyeball and inner eyelids. Caused by bacteria, viruses, allergens and other irritants, pink eye can be contagious. Some cases improve on their own, but others can develop into serious conditions. Macular degeneration is the leading cause of vision loss with more than 10 million Americans affected. Because it is so commonly associated with aging, it is also known as age-related macular degeneration (AMD). 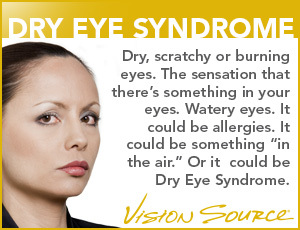 There are usually no early symptoms, only a comprehensive dilated eye exam can detect this disease. People with diabetes are at risk of serious eye complications. There are no early warning signs and only an optometrist can detect these complications with a comprehensive eye exam. If you have diabetes, be sure to get a dilated eye examination at least once a year because early detection and treatment will dramatically improve your chances of preserving your vision.